A big part of what I spend my time doing at Devpost is talking to people about our product (and community). Typically there will be some discussion over email and then we will agree on a mutually agreeable time to jump on a call or Google Hangout. Finding a time that works for both parties can be a big pain and I've noticed usually involves around 3 emails before a meeting is set. 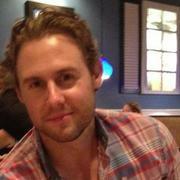 A few weeks ago Neal shared Booking.js with me. I checked it out and thought it might help make the setting up a meeting process easier! Booking.js creates a web calendar displaying my available slots (based on my Google calendar) and enables anyone to setup a meeting at the time that works best for them. I started by running through the API wizard on on Booking.js which created to the embed code. From there I setup GitHub Pages and created the booking.html page to hold the embed code. This pages take some of the default styles from GitHub, but is clean simple enough to work. I ran into a few problems with customizing the both the start of my availability window (I would like 9:30am / not 9am) and some of the default fields on the meeting invite the system generates. Basically I managed to get it working without bothering Juan or Neal! Which is good as I was building it a 5am! At this point I think the setup works well enough to share and test. I'm hoping it'll make the process of setting up time for me even easier for Devpost's users and customers. I've started to learn some of the Timekit.io API options and definitely brushed up on my GitHub skills! What's next for my calendar booking project? Loads!!!! 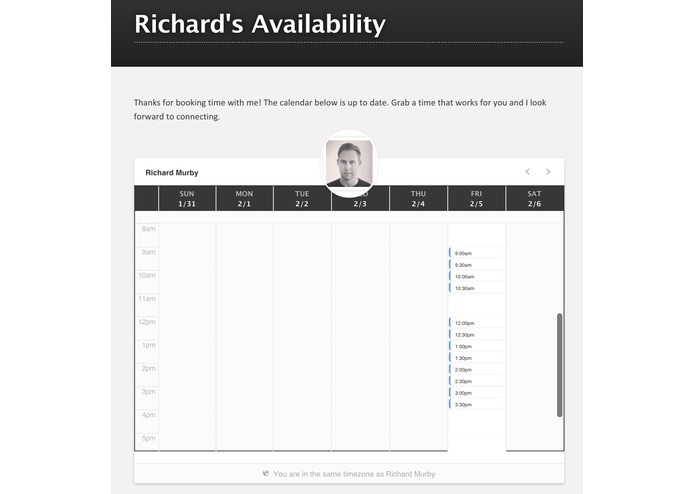 Firstly I want to setup the default options on the meeting invite to include my Google Hangout and after that I will look at both fixing the styling and maybe moving the page to richardmurby.com. Made some sweet updates with help from @mgerrior at Devpost Hacker Hours. Now the 'working hours' are adjusted to match my working day. However, the biggest change is that now the calendar updates automatically include a Google Hangout link - my favorite way to connect. Next up I'm going to work on the styling, but I'm already tested this in the wild and contacts have used it!